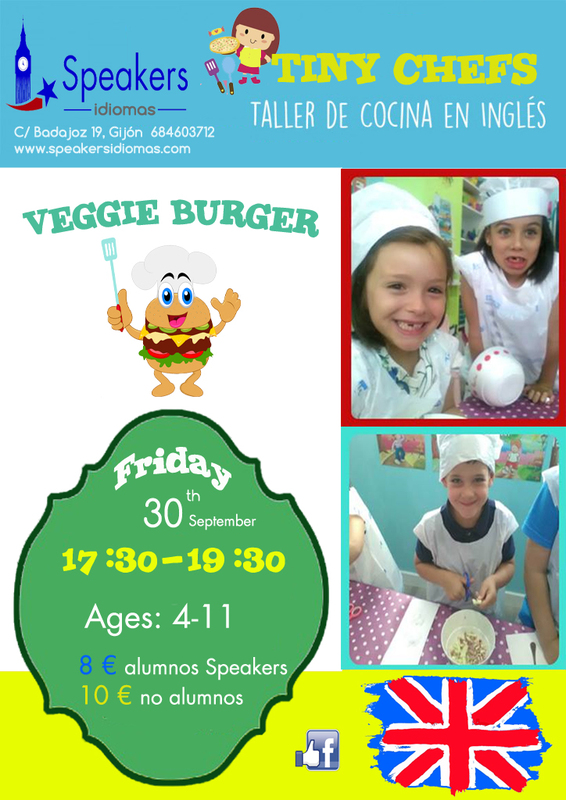 El viernes día 30 de septiembre comenzamos con nuestros talleres de cocina “Tiny Chefs”. En el primer taller aprenderemos vocabulario de los alimentos y prepararemos una “Veggie Burger”. Pretendemos que los niños aprendan a apreciar los vegetales y las verduras y descubran que, cocinados de diferentes maneras, saben tan deliciosos como una hamburguesa tradicional. ¡Los papás podréis degustar las hamburguesas que han cocinado vuestros hijos al final del taller! Friday 30th September we are back with our first cooking workshop of the year 2016-2017. Our “Tiny Chefs” will be cooking a “Veggie Burger” along with learning the food vocabulary. The children will learn to value vegetables and find out that, cooked in a different way, they taste as delicious as a traditional burger. Parents will have a chance to taste their children’s burgers at the end of the cooking workshop.